Developed cooperatively by the CHN and BC, this initiative provides operational direction for marine uses in the Haida Gwaii marine sub-region, including management direction for marine activities and a spatial management plan. This initiative is focused on the development of an integrated land and sea management plan for Gwaii Haanas. 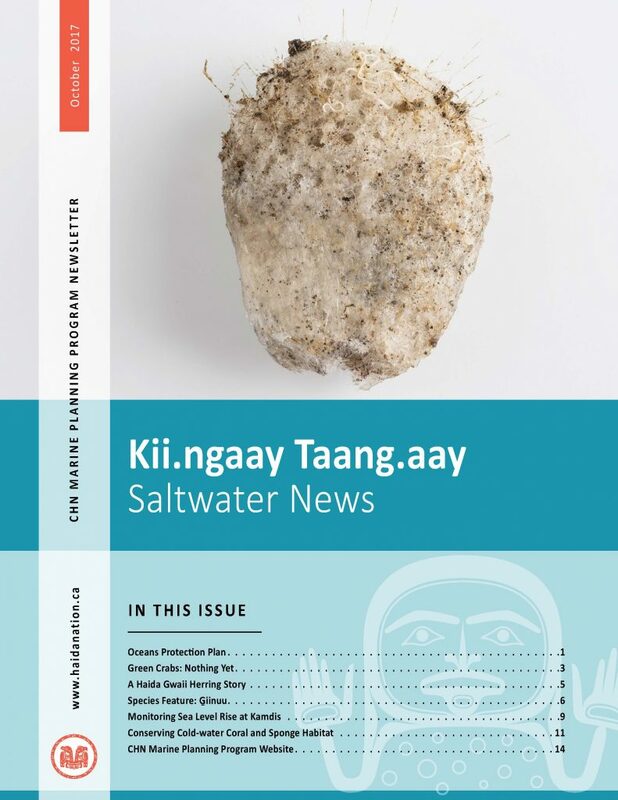 This initiative focuses on the cooperative development of a management plan for the MPA by the Council of the Haida Nation and Fisheries and Oceans Canada. 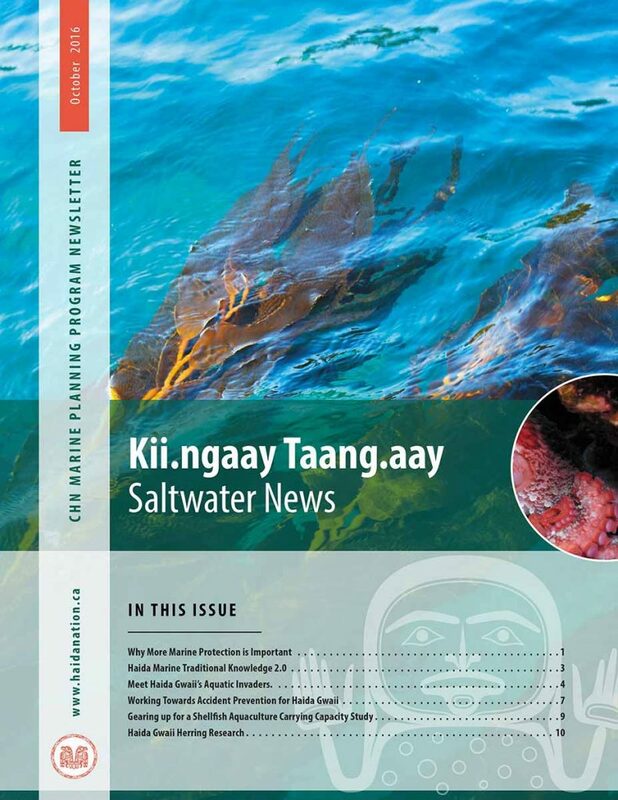 A variety of initiatives are underway involving the Council of the Haida Nation and other governments with regard to existing shipping and vessel traffic in Haida Gwaii waters. This initiative is focused on the design and planning for a marine protected area network for the Northern Shelf Bioregion. This initiative focuses on the development of an ecosystem-based framework for the Pacific North Coast area and is intended to produce high-level marine planning goals, objectives and strategies at a broader scale. Photo credits: Eiko Jones, Stef Olcen, Kelly Whitney-Squire, Lynn Lee, CHN Fisheries Program.